NEW DELHI: Actor-turned-politician Kamal Haasan, founder of Makkal Needhi Maiam (MNM) has said that he is open to forging an alliance with the Congress ahead of the upcoming elections. 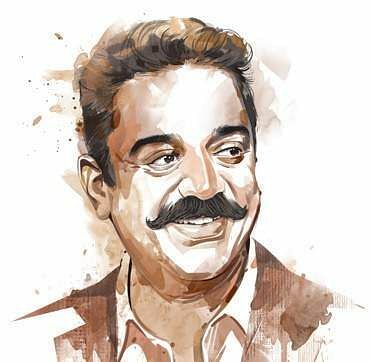 However, Haasan, who was speaking in an interview to a Tamil TV channel in Salem on Friday, also made it absolutely clear that MNM would not ally with either of the Dravidian majors — DMK or AIADMK. He said he was treating both parties alike. Haasan, whose political plunge caused great surprise, has been travelling the State to meet people and strengthen his party. He has completed programmes in Tiruchy and Coimbatore. However, the actor-politician once again raised eyebrows as well as questions about the sincerity of his political efforts just days ago when he announced that he would be making a sequel to his 1992 hit film Thevar Magan.